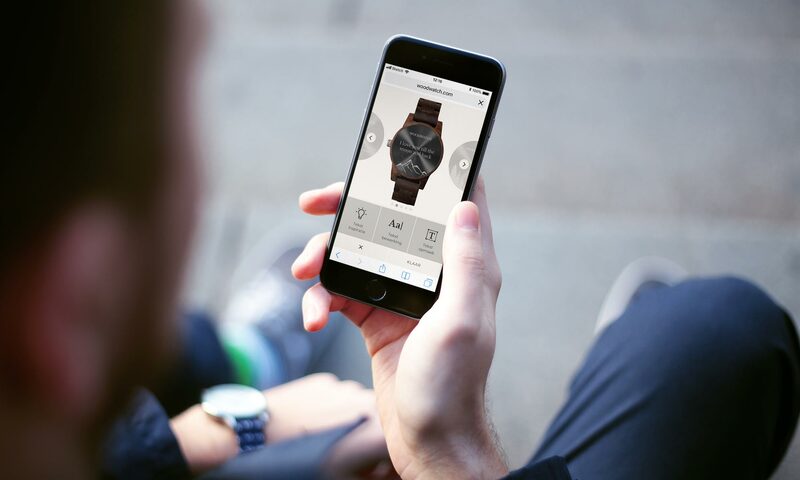 WoodWatch is an online watch brand, specialised in watches made of wood. WoodWatch offers the customer the possibility to personalise their watch. 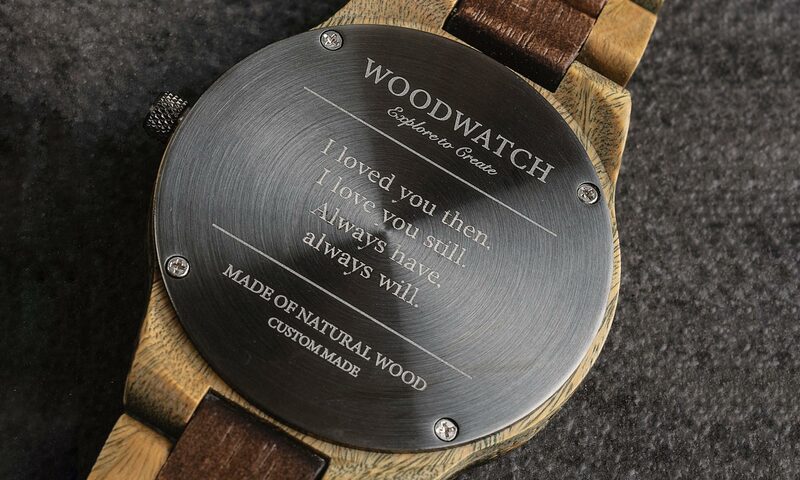 The customer of WoodWatch has the possibility to personalise his watch by engraving its backplate with a personal text. During the current ordering process this text can be filled in, in a text box. However, the freedom of choice in this design is very limited. 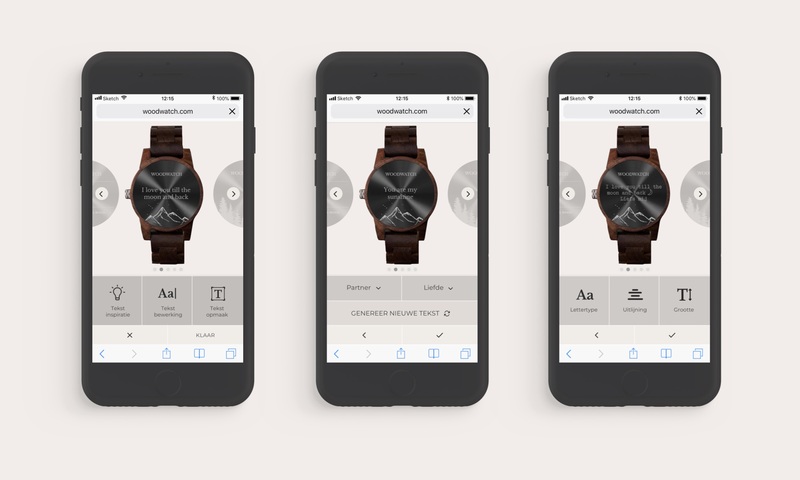 The company’s request is to create a design tool which stimulates customers purchasing a watch to engrave it. This design tool should inspire the customer to create a backplate that is adjusted to his personal taste. Also, the design tool should give the customer ideas for meaningful texts. To guarantee the best quality in the product, limitations in the engraving process, such as the size of the text on the backplates, should be taken into account. A clear preview of the product, including the placement of the engraving on the watch. A clear communication of the option to engrave the WoodWatch product. Inspiration assistance to create an personal text. 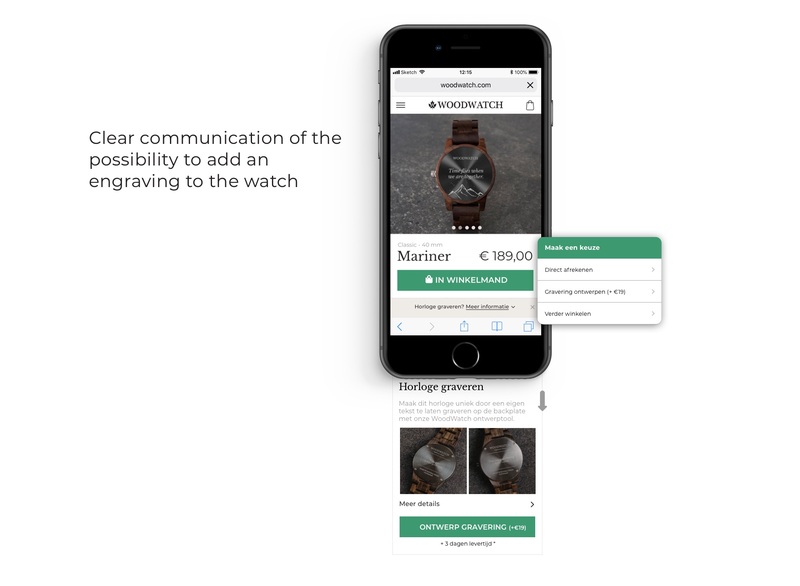 In the current ordering process, many of the chosen texts for the engraving are directly copied from the examples on the WoodWatch website. After the customer has chosen a watch and wants to add an engraving, the WoodWatch design tool begins. The customer can choose a backplate style in the preview of the watch. This preview enables the user to see the end-product at all times during the personalise process. Next, he can choose to create an own text or to go to “Text inspiration” to generate a text related to person and subject. 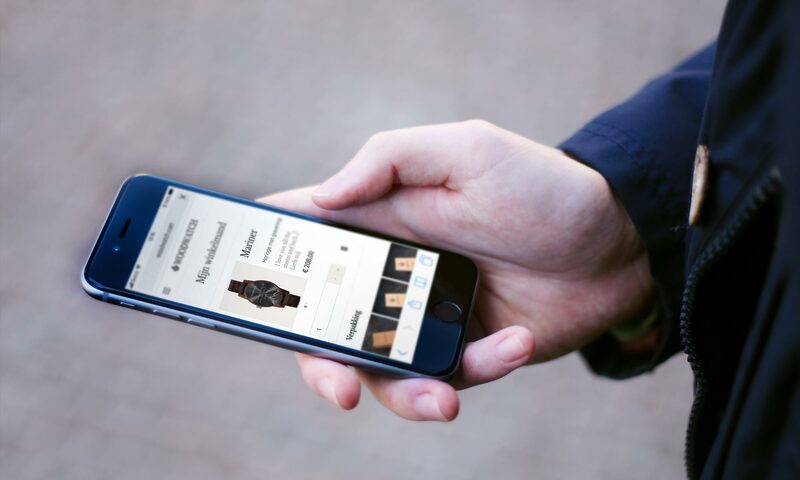 With this, the customer gets assistance in creating a suitable text. 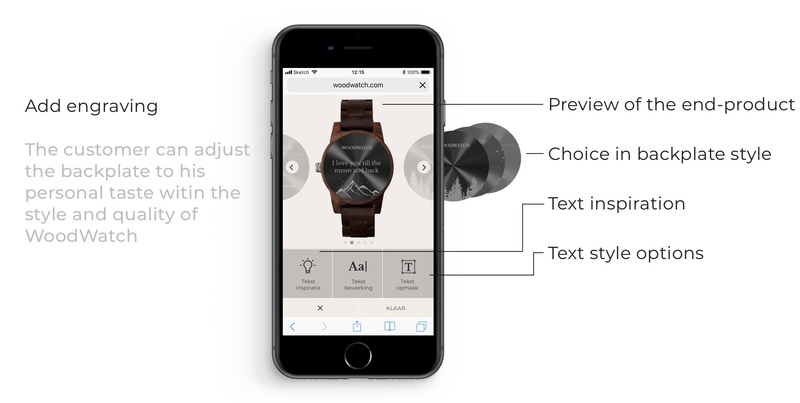 The text can be changed at all time and also the appearance of this text can be changed within the WoodWatch brand style. With this tool the customer can adjust the backplate to his personal taste and has a preview of the end-product. Also, the company preserves supervision of the product quality.